It Seemed Like the World Was Changing. Apple—the philosophy, the hope—is dead. Maybe it never existed in the first place. And to be clear: the company didn’t build it and isn’t directly responsible for it. But their wild success made it feel like pleasant, user-centered design was on the verge of taking over the world and leaving thoughtful, carefully considered objects everywhere in its wake. If Apple could soar past RIM and Microsoft, why not? The start of the iPhone and iPad era offered a reprieve, but it was only a matter of time before the forces of garbage, disorder, relentless capitalism, and “best practices” caught up and squeezed through any hole they could find. These forces move more slowly than small, enthusiastic, independent creators, so it took them a little while, and it seemed like the world was changing. But it wasn’t. Microsoft insists that the Surface is “the tablet that can replace your laptop.” But even from the press event with enthusiastic demonstrations, and never having held the thing, it’s clear that this simply isn’t true. Yes, it seems passable as a laptop I suppose, but to qualify as something that “replaces” it, it has to be as good or better than a standard laptop (and really, better than a MacBook Air, a much higher bar). It’s clearly not. Its laptop functionality, for one, is a separate add-on, its keyboard not included. Its trackpad is reported to be inferior. Even with the keyboard attached and with the improvements Microsoft has made, it’s still unstable and awkward on a lap, according to reviews. So it fails here. And as for the tablet part? No one is going to want to use the Surface as a tablet. It’s enormous, it’s heavy, and it has a poor tablet-app ecosystem. Is it passable as a tablet? Maybe? But again, passable isn’t good enough. The other selling point left is that is reduces the load of gadgets you carry. But for that to be the kicker, the benefit of having fewer things to lug around has to be so great as to overshadow the device’s other drawbacks. The Surface plus a keyboard weighs 2.42 pounds. A MacBook Air and an iPad Air together weigh 3.96 pounds. We’re not talking about back-breaking differences, here. And the tradeoff is that by having one device instead of two, you have one heavily compromised and inferior device instead of two excellently refined devices (and that presumes you even want to carry both around). I’ll take the extra pound and a half, please. So while the Surface may be a very well made and interesting device, it’s not the Grand Unified Device it’s being trumpeted as. And it goes a step further in proving that such a device may not exist, or at least oughtn’t. Bringing this back to Apple, when the top brass at the company made a lot of claims decrying the idea of a unified tablet-Mac hybrid thing, one thing I presumed was that their denials could be standard Apple evasion. Remember, no one wanted to watch videos on an iPod, until Apple made a video iPod. 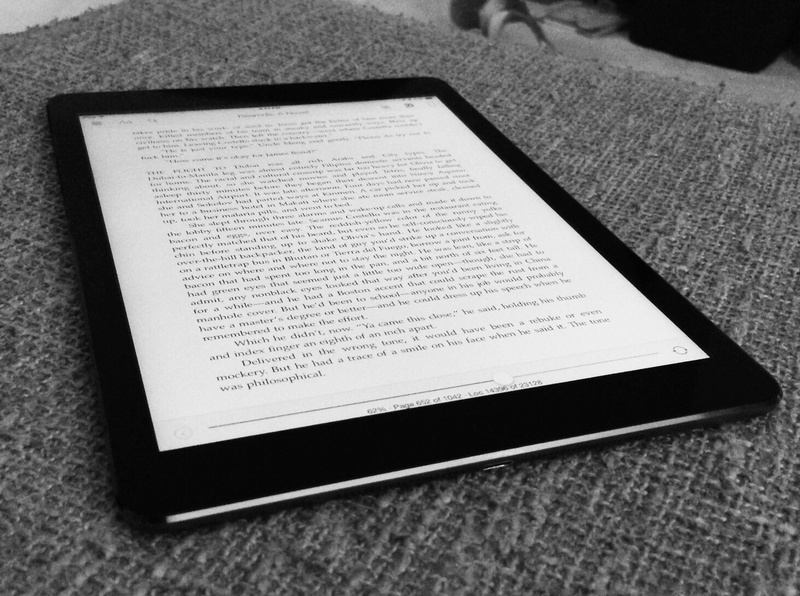 No one wanted to read books anymore, until Apple made an entire bookstore platform. They often look askance at features or ideas, only to adopt them later. I don’t fault them for this. They want the attention on the products they have now, not what they might make someday. I revisit this interview that Craig Federighi, the operating systems guy, and Phil Schiller, the marketing guy, did with Jason Snell at Macworld last year, and you can see just how prescient it is, or rather, how the guys at Apple were telling us exactly what they were doing. Unlike Microsoft and a handful of other manufacturers, Apple sees a unique place for each device in the gadget triad of phone, tablet, and PC. Rather than meld them, and worry about merging for the sake of merging — for the sake of reducing the number of devices one has — they work on perfecting each device within the contexts of their individual places. And instead of hybridizing them, they build bridges, highways, tunnels, and even wormholes between them, drastically reducing the friction for making them cooperate, without making them the same. If they make good on their promises from WWDC, they will have proven that strategy to be very right. And for Microsoft and its would-be customers, the question is begged, why would I want my tablet to replace my laptop? Yes, it’s great when new functionality comes to existing device categories. More data-sharing and third-party support on iOS will be great for letting me do more on my iPad, for example, but I don’t want new features at the cost of the iPad being a crummier tablet. And I really do want to replace the laptop I have (an aging 2011 11″ MacBook Air), but I want to replace it with a better laptop, not a worse laptop that also happens to be tablet-like. Who would? In order for the iPad to fulfill its supposed Post-PC destiny, it has to either become more like an iPhone or more like a Mac. But it can’t do either without losing its raison d’être. Although both the iPhone and the iPad are multi-purpose devices, it seems only the iPhone fills a multi-purpose need in customers’ lives. A typical customer’s iPhone is put to work in all its capacity, while her iPad is relegated to only one or two niche uses. An iPhone is a phone, a flashlight, a GPS navigator, a camera, etc. An iPad can be most of those things, but in practice it gets stuck being just one or two of them. I’d word this somewhat differently, but largely this is correct: the smartphone is a Swiss Army Knife of tools that most folks who are even tangentially involved in the information economy need to have on them today. And even if they’re not, it’s come to replace many of the other devices most consumers would otherwise think of as standard. You need a smartphone (here, specifically an iPhone) because you need a smartphone. –Workplace Productivity – The Mac has an exposed file system, physical keyboard, a pixel-accurate pointing device, and multitasking applications, all of which contribute to more efficient workflows. –Power Computing – There are some professional tasks that require powerful processors, expansion ports, large storage devices, multiple displays, etc. These features are only available on a PC. I think the future of the iPad is for it to disappear, absorbed at the low end by iPhones with large displays and at the high end by Macs running a more iOS-like flavor of OS X. Perhaps it won’t disappear completely. After all, for certain niche uses [Sinclair is referring to things like reading, movies, and the things that happen in iPad commercials] … the iPad is great because it’s neither a phone nor a PC. But these are still niche uses and can’t possibly sustain the long, bountiful future that many hope the iPad has. And here’s where I disagree. I can grant all the facts he presents. Yes, the iPad is not as good at utility-belt type stuff as the iPhone, and it’s not as good at get-work-done-at-my-desk stuff as the Mac. But I think that’s because, as I noted in the opening paragraphs ofmy iPad Air review, the iPad shines as the device you reach for when you don’t need the other two. Speaking in broad terms, you use a smartphone because you need, at that moment, what it provides. You use a Mac/PC because you need what it can do in order to do your job, or what have you. You use an iPad, however, because you’re now on your time, and can do the things youwant to do, rather than what you need to do. You can kick back and read, or watch movies, or draw, paint, fiddle with music, chat on social media, futz around on the Web, work on your novella, play Tiny Wings, and so on. I don’t see that going away by any means. For some, of course, a phone is enough, especially if they opt for phablets. For others, a laptop is sufficiently “casual” to use as one’s kick-back machine. But I think that tablets (iPads, really) excel in this space, being the device-of-choosing. That doesn’t mean that they will remain explosive in terms of sales. Once you have a good iPad, you don’t need to upgrade often at all. But if the space that the iPad occupies can be described as a “niche,” then it’s a deep and wide niche, one that will not be covered over any time soon.